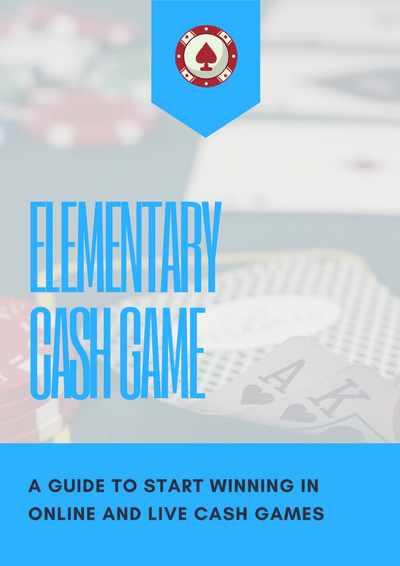 Elementary Cash Game – Raise Your Edge! This cashgame course is made for beginners and will provide you with the fundamentals you need to become a winningplayer on Low Stakes (<NL50). You want to know more about FaLLout86? Then check out his valuable content he his producing for www.pokerstrategy.com. He is literally pokerstrategy`s content flagship! And Pokerstrategy.com is the worlds biggest pokerschool! Requirements: Knowing the rules of NLH Poker. Being able to work with HM2/PT4. Knowing the most popular Preflop & Postflop Stats. A solid preflop openraise strategy is super important. Otherwise, you burn a lot of money cause your ranges are too tight or too loose and you will lose money postflop. I will show you different preflop charts as a framework and I show you how you can modify those charts. Also, I will show you the importance of stats and how to interpret them properly. The same applies to the defends. You learn which hands you have to defend and which factors are important for this. I teach you when and why you should 3-bet different handranges depending on the position and the openraise range. The same applies to your calling range. Which stats are useful and can earn us some extra money? I will show you charts and also example hands to get a better understanding for this topic. In those two videos you will learn a lot about betsizing, about betting and checking ranges. How can I decide if I have to c-bet this hand or not. Which hands do I have to check on the flop and then bluff on the turn? I will show you when a bluff makes sense and when not. The key to success is when you know on the flop what to do with your hand on later streets. I will show you which factors are important for this and which exploits are possible to bring your game on a new level. Also, you will see a lot of example hands that you can understand the theory better. We are always updating our courses on a regular basis in order to keep you updated, for FREE. For owners of our Cashgame Beginner Course, you will have immediate access to our exclusive bonus section and enjoy the most recent content.